I was immediately struck by the multitude of meal plan options., like Paleo, Whole30, Low Fat, Mediterranean, and of course Vegetarian. 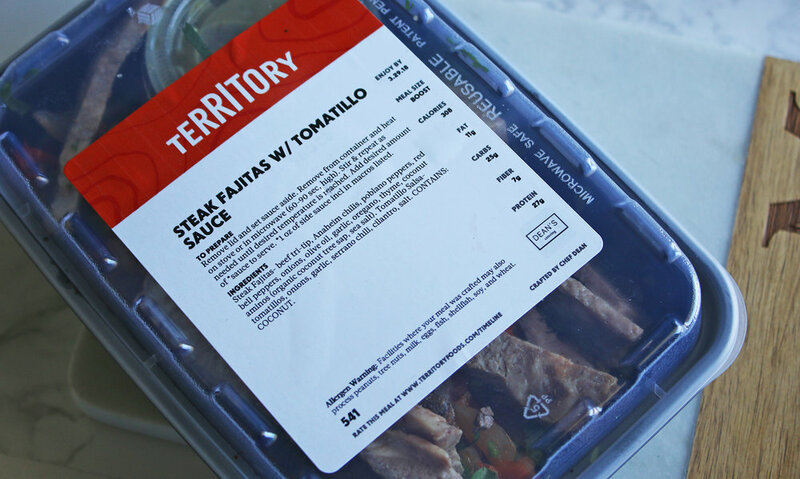 Territory boasts sample menus for all their meal plans, so you can see exactly what you'll be getting into when you make your choice. I settled on their Whole30 meals, lunch and dinner from Monday-Friday, to be delivered twice a week (totaling 10 meals a week). Unfortunately, Territory doesn't deliver to my exact address (the perils of living in The Valley, right? ), so I chose to pick up my meals from a local Crossfit Studio, which ended up being really easy and convenient. A few days before my first delivery, I got to choose exactly which dishes I wanted for the week from options like Chicken Meatballs with Sweet Potato and Caveman Stuffed Peppers. All together, it was an incredibly easy process-- exactly the kind of convenience I was looking for! In hindsight, I think 6 meals would've been a more approachable goal, as there were times I was running around LA and forgot to take a meal with me and had leftover meals by the time the next week rolled around. Additionally, I started off with the "Standard Size," which I think is a good dinner portion, but ended up downgrading to "Boost," more of a lunch-size portion as the Standard was so much food. Most of the meals were between 300-500 calories, and Territory conveniently lists ALL of the ingredients and macros on the packaging. The best part? The meals were actually really good. They were fresh, tasty, and definitely healthy. Since Whole30 is a pretty restrictive diet, it was impressive to see how creative the Chefs were with limited ingredients, coming up with healthy, different ways to prepare chicken, steak, and vegetables. But I actually loved that the meals were so simple and healthy; I felt great eating them, and preparation usually included heating them up in the microwave for 60-90 seconds. A few favorites included the Chicken Meatballs with Sweet Potatoes and Red Sauce which was simple, flavorful, and well-prepared. I also loved the Caveman Stuffed Peppers-- ground beef stuffed into whole red peppers and baked until tender. Overall, I was consistently impressed by the quality of the meals, and loved how easy Territory made it to eat healthy. 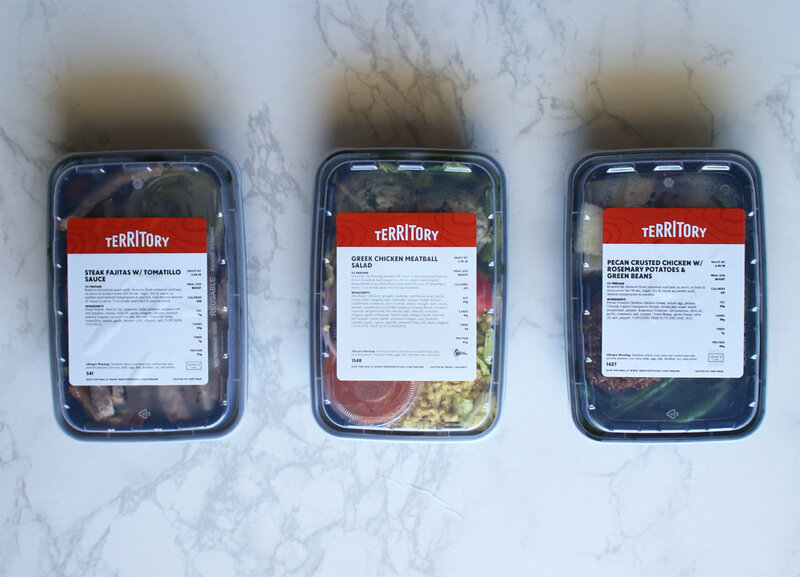 So if you're looking for an easy way to get healthy before Summer officially begins, look no further than Territory's meal plans.